To feature the Play Store and run Google’s first-party apps, Android manufacturers have always had to meet certain requirements. 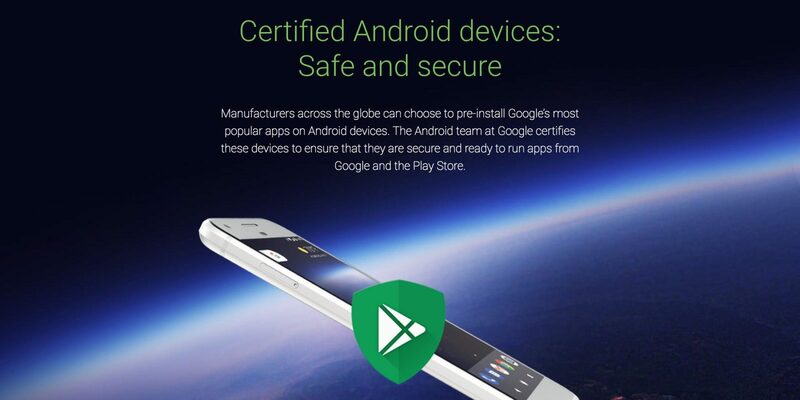 Google is now better showcasing them by branding phones and tablets that follow certifications as “Certified Android devices.” This more public initiative also coincides with Google Play Protect branding being featured on the retail packaging. Google provides certification for Android devices to make sure users receive secure and stable experiences. We work with manufacturers across the globe to run hundreds of compatibility tests that ensure devices adhere to the Android security and permissions model. These tests also verify that the Google apps pre-installed on devices are authentic and that apps from the Play Store can work as intended. However, Google is now better advertising this certification to likely distinguish from devices that just fork Android, which is a more common occurrence in developing markets. A key part of this new initiative is Google Play Protect, which recently began rolling out and itself just better showcases long-existing security tools on the OS. Google notes that the Play Protect logo will begin gracing retail packaging for Android phones and tablets. The company is encouraging consumers to look for this logo when shopping. There is also a new list of OEMs and partners that have certified devices.